VBOT has told us all to be ready to meet 30 or more, new and seasoned members, before office hours even begin! 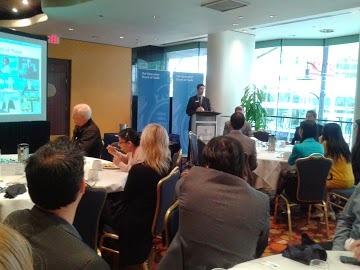 Very excited to hear what my co-participants do at the heart of British Columbia’s business community. Post event UPDATE: Breakfast was yum. Orientation light & fun with some GREAT benefits to check out ASAP. 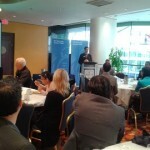 I did indeed meet 30+ folks of the 100 or so in the room, as promised by VBOT before 8:45 a.m! Lots of energy. Great ideas. Like minded business women and men looking to support each other. LOTS of other newbies. Wore my name tag for the first time, with pride, to have joined a commercial and also conscious community. Kudos to the organizers, the membership reps in the room and the volunteer ambassadors! My gift to mark the 1st of many tales to tell of the VBOT members and team is a chapter excerpt of work in progress on my upcoming book on accessing both the Fun & Profit of the Power of Storytelling @ Work. To get your copy – Enter your best email in the box above. You’ll then get occasional fast tip sheets on communication. And, I’ll ALSO share my notes on the #1 story you MUST have in your folio of stories – the one story guaranteed to define your profile – to differentiate you and – to help you profit in all your entrepreneurial efforts. When you join the mailing list on or before the official start of summer, June 21. You’ll get useful info on topics that boost your “CQ” you communication quotient.You’ll boost your ability to connect in person, online or in text. A practical question template to craft your first draft …and so your own “million dollar” story. Spark your imagination so that you profit from your very own profile! WHY am I passionate about sharing this with you? Because in serving my clients, whether with ‘guerilla’ sized fast action or big budget marketing and publicity strategies for 25 + years I noticed one thing – repeatedly. A critical hurtle I’ve had to help hundreds of clients get over in order to get their messages to the right market, in any medium, was their – missing – misplaced or – needlessly minimized STORY. Yet, when we worked together on the right combination, we unlocked one of the most powerful tools to position their message to current and prospective customers, partners and to media. That #1 foundational story also rallied their organization’s internal stakeholders – staff and associates. Their unique and powerful story became a catalyst for profit, for an elevated industry profile and for media activation. Why not join in to get started with crafting YOUR own story. Guaranteed you’ll be delighted with what you discover about yourself. And, we can help you extend the life of that story and to leverage it. Do it now..and drop your name in the box up top. VBOT BONUS: When you fill in your name, postal address, company name and phone number fully on the CONTACT PAGE – we’ll mail you a certificate for a free fast edit consult on your current profile that you can ‘cash in’ by simply booking it by the end of June 2014. No risk. All fun towards a profitable profile and your project is NEVER shared without permission. What’s not to love in this bonus story? Helena is a professional story teller and a multi- award winning business writer who works in multi-ethnic markets and across all demographics. 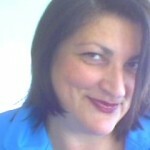 Contact Helena to speak to your group on The 6 Super Powers of Stories at your Lunch n’ Learn. 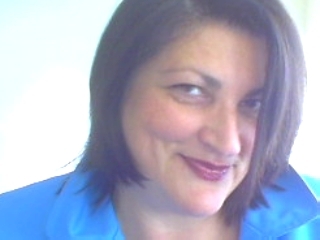 Or, your hosted workshop with Helena on Select the Story that Tells and Sells Your Services, Ideas or Products. Simply send your contact details via the CONTACT page. Start the never ending success story, today. You’ll love it!